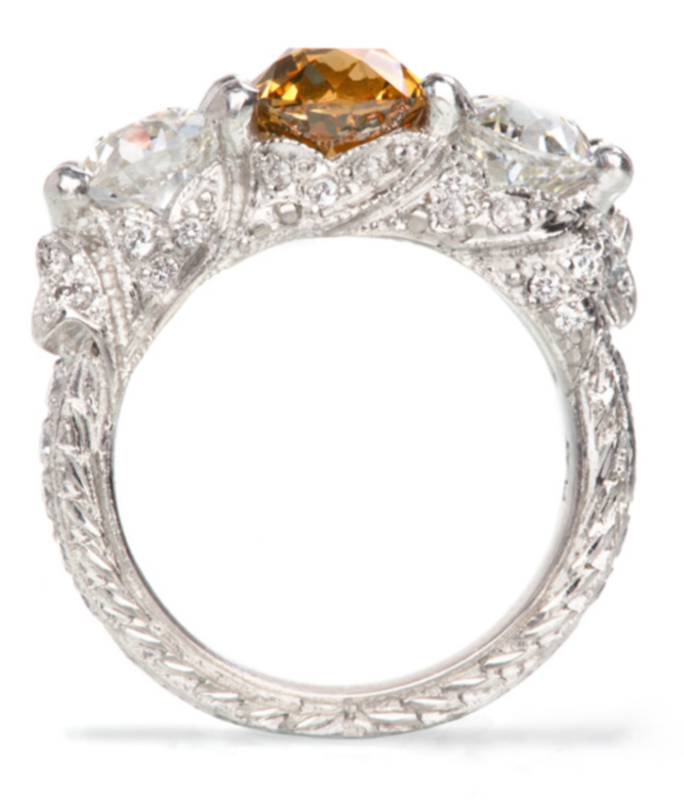 A single champagne diamond is the focal point of this one-of-a-kind custom diamond engagement ring. Flanked by two round brilliant cut diamonds, this ring is made lovelier still by the intricacy of the engraved scrollwork on the shank. The diamond-studded leaves on this ring's mounting are the final crowning detail, lending this piece an undeniable feel of organic elegance.